Brandon Sanderson is often known for his longer works—his 350k+ word epic entries into the Wheel of Time series or the Stormlight Archive. But he is a much, much more versatile author than most people typically realize, and has written in various genres and at almost every conceivable length. He has written a few short stories, several novellas, his Alcatraz series of middle grade novels comes in at around 40-50k words, his YA series come in at 100k, his epics at 250k-400k. In The Emperor’s Soul, one of Sanderson’s entries into the novella category, we are returned to the world of Sel, the world in which the novel Elantris took place. But if you haven’t read Elantris, don’t worry. This novella takes place on a completely separate continent, and there are only a handful of well-hidden clues that they are even set in the same world—but if you’ve read Elantris, you will likely pick up on the hidden easter-eggs that Sanderson has scattered throughout the novella. The Emperor’s Soul takes place largely in a single room, following Shai’s efforts to, well, rebuild the Emperor’s Soul. In the hands of a lesser author, this could easily have become a boring novella, a philosophical mess of exposition and “deep thoughts” on life. But instead, through Sanderson’s impressive range of talents, we are given something much different. Shai’s voice comes alive in the novella, and she is truly, truly, a marvelous, complex, powerful character. We are somehow given her history and enough information to round out her character and her abilities, while never being bored with info-dumps. I found it very interesting to spend time in Shai’s head, watching her work through and brilliantly conquer the problems set before her. Yet, perhaps, she is arguably not the only main character of the novella, though the vast majority of it is told through her viewpoint. While we never see him, The Imperial Fool, the one who set off the events that led to Shai being captured, is a character who should be familiar to Sanderson Cosmere buffs. Once you’ve read the novella, you should head over to Sanderson’s website to check out the deleted prologue, in which Shai actually converses with the Fool. It has some interesting tidbits, for sure. The other most interesting character is definitely Gaotona, an Arbiter of the Empire, one of the men who shall decide Shai’s fate. At first utterly repulsed by the magic that Shai works, Gaotona is forced to watch over her and try to understand the process she is going through, so that he can verify that she is doing what she promised. His journey, though told mostly through Shai’s eyes, is also quite interesting. The magic that Shai works is another trademark Sanderson system, utterly interesting, and based largely on the stamp system used in Taiwan. In fact, the entire novella has an oriental feel, something refreshingly different from the vaguely European settings that permeate most fantasy works these days. I am curious to see, in future works, how the magic of The Emperor’s Soul fits with the very different magic of Elantris, since they are both set on Sel. Also, there’s a very nice easter-egg relating to the magic system here that you will only catch if you’ve read Elantris. 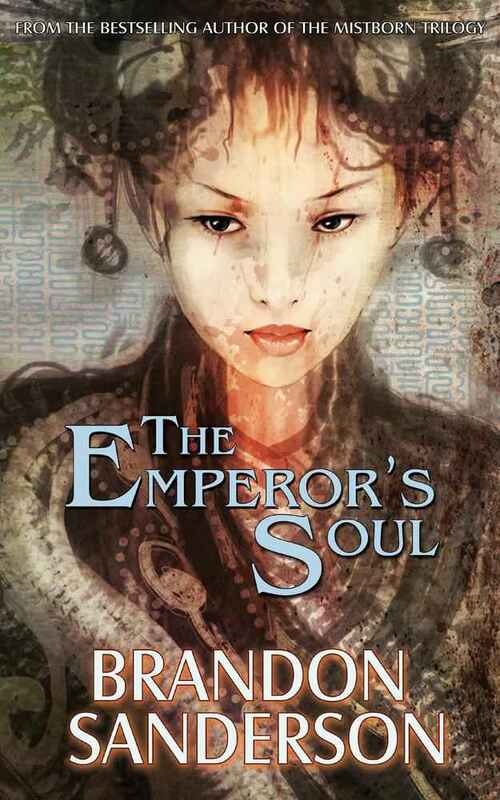 The Emperor’s Soul won the Hugo award for best novella in 2013, and it undoubtedly deserved the award. Not only is it a fun, quick read (Every time I have read this, it’s been in a single sitting. ), with an action-packed ending, but it is also a reflection on what art is, what beauty is, and what really is and is not a lie. It’s also an examination, although obliquely, of what makes up a person’s soul, and makes them who they are. In particular, though he is not really a character of the novella, we get to know Emperor Ashravan through Shai’s efforts to recreate his soul, a decidedly interesting look at things we don’t see very often. In summary, The Emperor’s Soul is a trademark Sanderson, with a brilliant magic system and utterly intriguing characters, with just enough Cosmere related easter-eggs to keep the rabid fans pleased, while still tending to a more literary direction than many of Sanderson’s works, and is highly deserving of the Hugo Award that it won. Five of Five stars, an read that you really should pick up as soon as you can. The Emperor’s Soul on Amazon. The Emperor’s Soul on Goodreads. I had this review bookmarked since it went up but work is insane this time of year so I apologize for only making it here now. I’m super curious about this novella, but being the OCD personality that I am, I need to read Elantris (hangs head in shame) before I get to this one. Elantris being the only major Sanderson work I have yet to read. I’m loving the sound of this premise^^ and I think you’re right that Sanderson is one of the few authors who could pull of something like this, with so few characters and virtually no dialogue. He’s never disappointed me before so I don’t doubt being blown away by this one too^^ Thanks for the awesome review Mark!